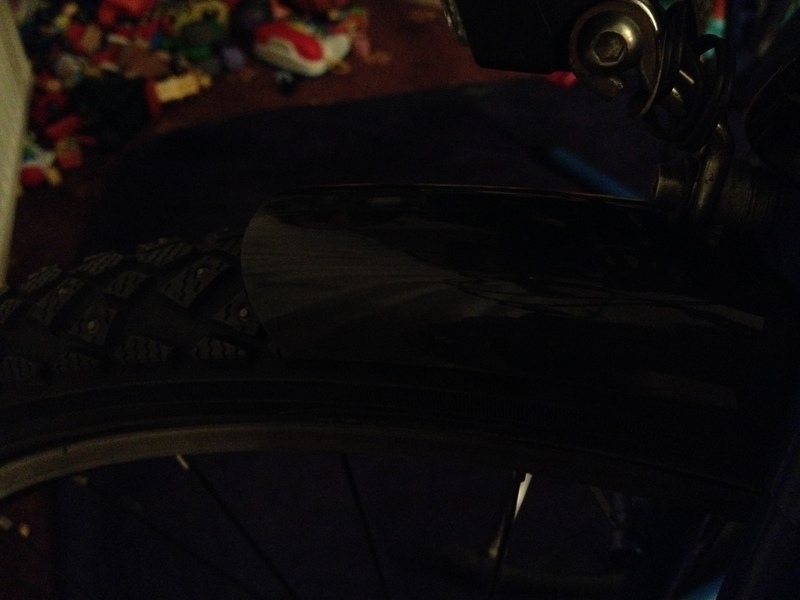 The SKS mudguards I had on Bluebell (my Thorn Raven Sport Tour) didn’t give enough clearance for my Schwalbe Marathon Winter tyres. Last winter I tried to ride without mudguards, but it’s just nasty and I’m too lazy to clean my frame every ride, so the frame was beyond my normal dirty threshold. This year I decide to get bigger mudguards. Simple? 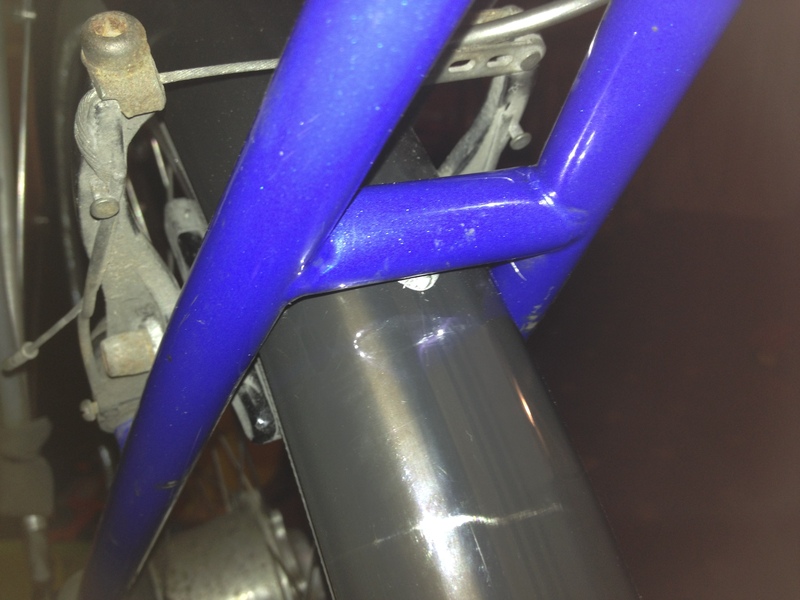 No, fitting mudguards is a pain! First I had to drill a hole through the rear one so I could bolt through it into the mount point. The front was even more tricky, the fancy rubber thing on the front of the guard had to come off, it just rubbed the 1.75″ studded tyre, there’s very little clearance! 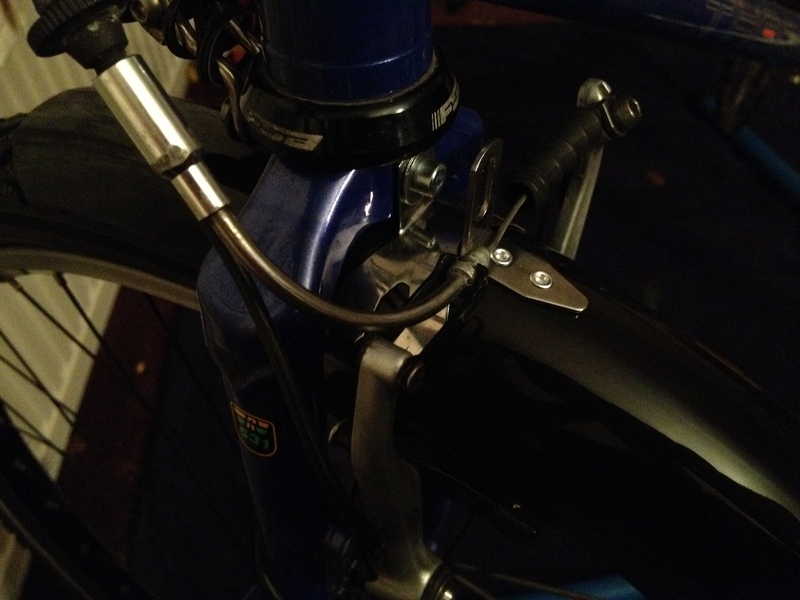 Then I had to mount it further around than the bracket it is pre fitted with, fortunately I didn’t have to remove the original, which is the normal thing to do, instead I just used the sliding bridge (bracket) that would have been used on the read mudguard. Which seems to be a far easier solution to drilling out rivets, drilling new holes then bolting the original bracket back on. I’ll post an update if everything goes wrong, otherwise assume they work perfectly and I’m happily enjoying the foul weather. This entry was posted in Cycling and tagged Bluebell, MarathonWinter, Mudguards, RavenSportTour, Schwalbe, SKS, Thorn, Tyres, Winter. Bookmark the permalink.